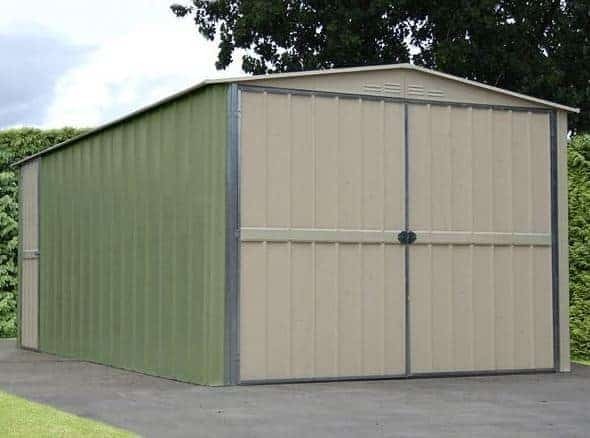 This 10 x 17 building is a fantastic addition to any large garden and is perfect for storing vehicles as well as tools and equipment. It is made from the finest metal materials and carries an excellent rust and perforation guarantee. The apex roof provides great protection against rainwater and the damage that it can bring. It also brings extra head height into the building’s interior. So all of those long tools, pieces of equipment and even heavy use equipment can be stored with confidence. This is a very large, highly durable metal garage from the popular Storemore Canberra collection. It features a traditional, yet stylish apex roof which is well-known for its incredible water-resistant qualities. Rain water glides down the roof, straight onto the floor, with no opportunity to build up or damage the sides of the building. This roof type also gives more interior height centrally throughout the garage, making storing tall, awkward items easy. The eaves height is definitely one of the main benefits of the building, measuring a brilliant 1.77m tall. The roof is also exceptionally tall, measuring 2.03m tall. Other measurements include an overall depth of 5.26m and a standard width of 3.07m. The doors measure 2.60m wide and 1.68m high. You’ll find this garage has a domineering, solid appearance and that is largely thanks to the high quality metal cladding. Featuring vertical details, the building is both practical and stylish. 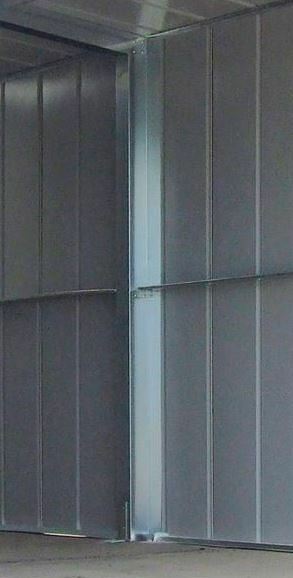 The thickness of the cladding also ensures it is totally stable, even in high winds. It has also been given 3 coats of paint so that each panel is really protected against water damage. Inside the garage, there is a sensationally strong galvanised steel frame. This high tensile steel construction ensures the building is incredibly stable and able to support the heavy structure of the garage. It isn’t surprising to see that the building doesn’t come with a floor. It is after all, designed for heavyweight storage. When transporting a vehicle in and out of the garage for example, it could cause damage if a floor was provided. However, the disadvantage of not having a floor is the fact the building has to be constructed onto a concrete surface. So you need to ensure you have a solid surface big enough to accommodate the garage. Maintaining this building couldn’t be easier thanks to the fact that it requires absolutely zero treatments. 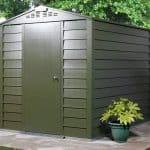 You won’t need preservatives, treatments or paint to keep the garage protected throughout the seasons. This is all thanks to various levels of protection already included with the building. It also comes with a very useful and reassuring 20 year warranty against rust and perforation. So you have great peace of mind all year round no matter what the British weather brings. The garage comes with 3 doors for incredibly easy access. The two reinforced double doors at the front of the garage are the main entry points. However, there is also a third single door located around the side of the building. This provides very quick and easy access to the building. As the doors have been reinforced, they give the garage a more secure design, which in turn can actually lower your insurance premium if you’re storing a vehicle inside. Insurers like to know that the vehicles they are covering are kept in a fully secure area. You won’t find any windows on this garage which helps to ensure that whatever you do choose to store will always be hidden from view. 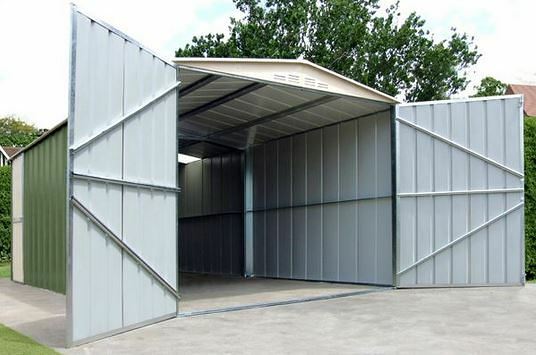 This makes it an exceptionally good choice for storing anything valuable such as machinery or vehicles. The manufacturer has even made sure condensation won’t be a problem thanks to the ventilated gables. 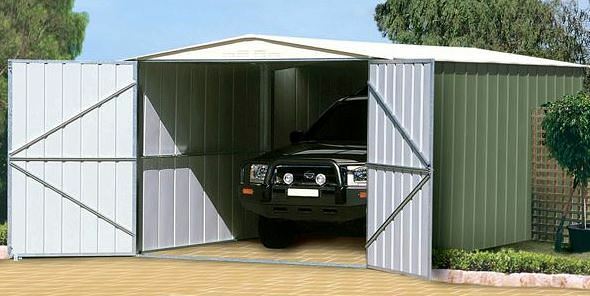 You are guaranteed fantastic security and privacy with this garage. As mentioned, it doesn’t come with windows so anything you store is completely out of view of potential thieves. 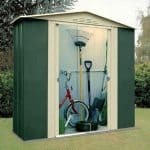 The security of the shed is also top notch thanks to the high quality, thick materials used to construct it and the huge reinforced doors. If security is one of the things that is high up on your ‘must have’ list then this is a good model to invest in. One of the things we like about this Storemore Canberra range is the fact you don’t need to spend money on lots of extras. The garage is fully protected against rodents, fire and water so it doesn’t require any treatments to make it more durable. The one extra we do recommend however is the anchor kit. 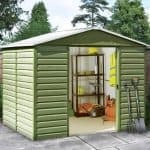 Costing just £15, this kit will help you to secure the garage to its base. What this means is you will never have to worry about the shed toppling over or leaning over time. It shouldn’t do that anyway as it is constructed with a high quality steel frame. However, it’s always good to have extra reassurance when you’re spending so much money. It’s very hard to beat the quality of construction of this garage. 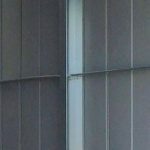 Featuring galvanised steel, what’s great about this building is Storemore have paid attention to both the details you can see, as well as the ones you can’t. Every part of it has been constructed to an exceptionally high standard. 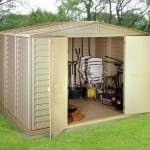 No need to worry about having to replace or repair the garage as the materials used are guaranteed to last at least 20 years. It is able to put up with a lot of daily wear and tear and is also extremely well protected against harsh weather conditions. This garage has a fantastic amount of storage space and even gives you the option to attach shelves to the interior walls. Whatever you need to store, this building is ideal. While we are impressed with the simplicity of the instructions provided, we are a little taken aback by how much time it takes to assemble this building. However, it’s actually pretty reasonable when you consider the materials used to create it. Providing you have realistic expectations of how long it will take to put together, you should find this garage pretty easy to put up if you use 2 people. 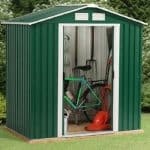 With no paint work, preservatives of treatments to worry about, this garage does provide good value for money. You also don’t have to spend much money on extras. There’s also the fact that it does come with a 20 year warranty. However, we’re unable to give it a higher rating in this department due to the initial high cost of the building. Final Thoughts: This garage is able to withstand the unpredictable weather conditions associated with the UK. It is built to really last the test of time and despite its high cost it actually offers great value for money. It is a large building and it does need to be built on a concrete surface so this is something you need to factor in. 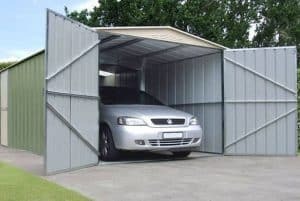 However, if you have the budget as well as the right amount of space, this is one of the highest quality garages you can buy.